The UK’s premier rock and metal festival Download has revealed another wave of incredible artists for this year! Download Festival is one of the UK’s best loved weekends of the year and 2019’s looks set to be as epic as normal with the latest acts announced! We have Aaron Buchanan & The Cult Classics, Alcest, Animals As Leaders, At The Gates, Bad Wolves, Batushka, Beartooth, Behemoth, Black Peaks, Brothers Osborne, Cane Hill, Clutch, Coldrain, Conjurer, Crystal Lake, Deadland Ritual, Fever 333, Godsmack, Groundculture, Halestorm, Heart Of A Coward, Icon For Hire, Intervals, Last In Line, Like A Storm, Lost In Stereo, Love Bites, Municipal Waste, Ne Obliviscaris, Palaye Royale, Parting Gift, Redhook, Skid Row, Skynd, Stone Temple Pilots, Sumo Cyco, Those Damn Crows, Three Days Grace, Toska, Trash Boat, Twelve Foot Ninja, Vega and Wolf Jaw! 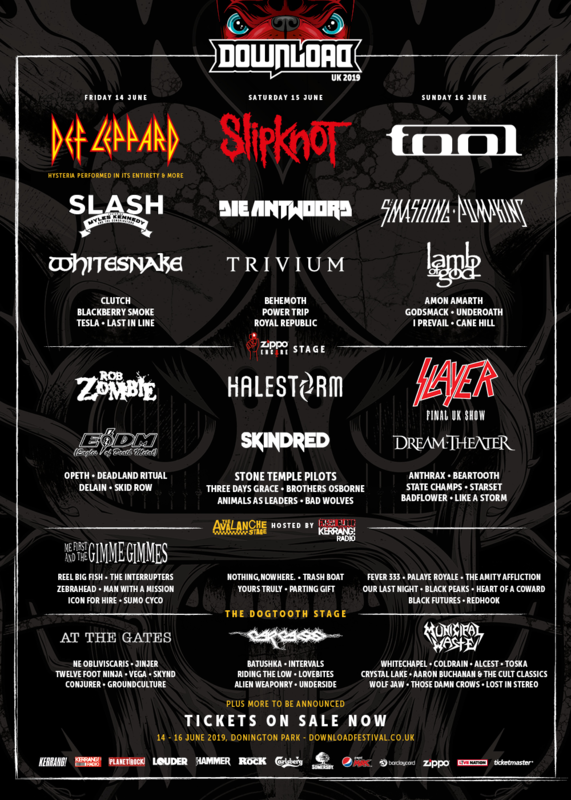 Download Festival takes place between June 14-16 at Donington Park.